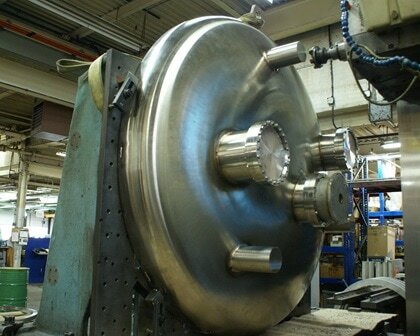 Custom Machining Services for Particle Accelerator Industry - Meyer Tool & Mfg. We are different from your standard machine shop in that a large part of our business comes from servicing the particle accelerator industry. This is a very niche industry where tight tolerances, immaculate surface finishes, and precision fit-ups are a way of life. 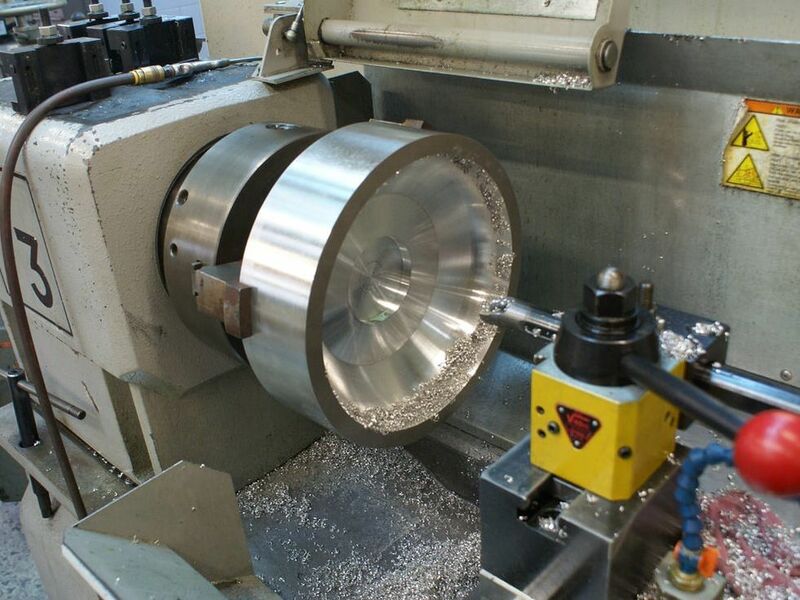 We will approach your custom machining project with the same level of care that we apply when machining rare Niobium cavities that eventually make their way into a particle collider. Our sweet spot for machining projects revolves around low to medium sized production runs, (1-1000 units), of components that have something unique about them that requires additional attention to detail that other machine shops tend to overlook. 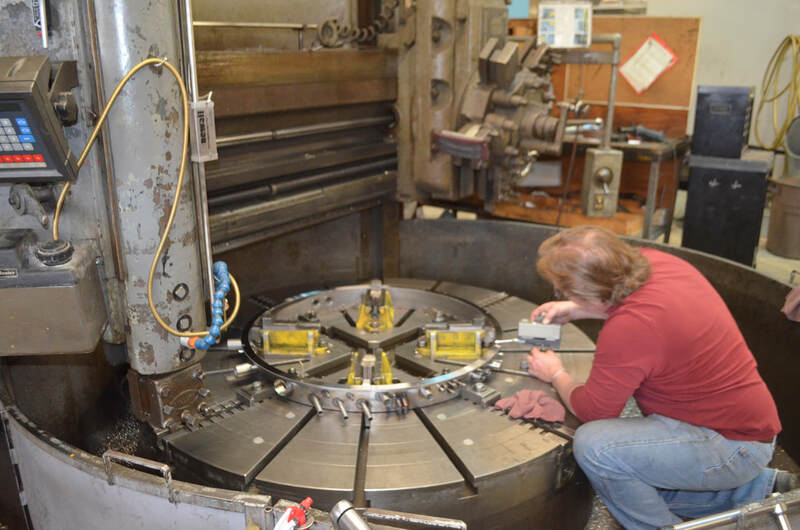 In addition to our internal machining capabilities we have an extensive supply chain of trusted suppliers that are able to fill in any unique machining operations that fall outside of our core capabilities. Our machine shop is run by Ken Urban who has over 30 years of experience trouble shooting the toughest machining projects imaginable. Every job is unique and presents its' own unique challenges. We have worked with a wide variety of materials over the years and know how to adapt our fixturing, tooling, feeds, and speeds to produce the highest quality products in the shortest period of time. Our processes are designed around developing unique fabrication plans for one-of-a-kind products. We take the lessons learned during short run prototype production runs and apply them to implementing solutions for high volume batch production delivery. 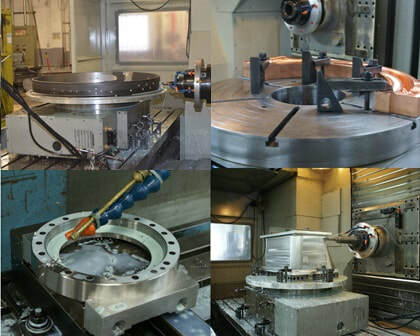 We have multiple lathes including a vertical lathe and a live tooling lathe capable of performing both milling and turing operations in a single setup. Post weld machining the flange ports on a vacuum chamber prior to welding. O-ring groove on the hub of a carbon steel pressure vessel for the oil & gas industry. 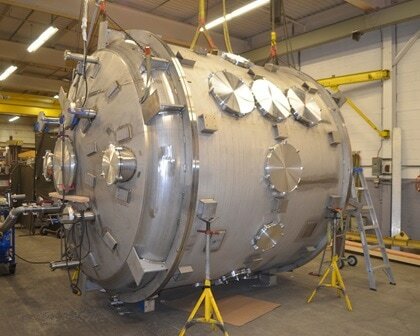 Final machined 10ft diameter vacuum chamber with <0.030" true position locations on o-ring and port locations. We live in a world where we have one shot at hitting precise location and dimensional tolerances with no margin for error. 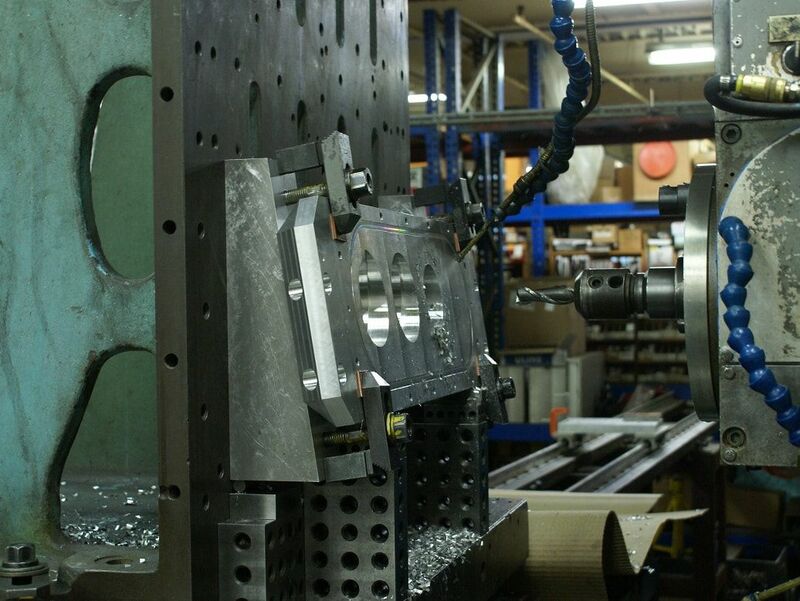 A large portion of the machining work we do is prototype or one of a kind production runs. Our machinists have to design custom fixturing and setups on the fly all while having one shot at making an acceptable part. 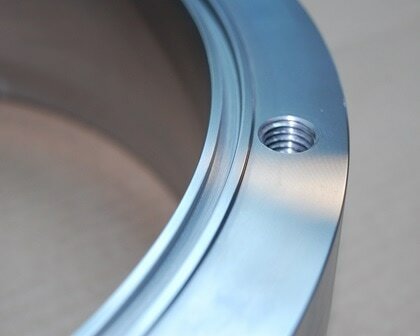 The vast majority of our parts utilize GD&T dimensioning for true position locations on holes, circularity call-outs on ports, as well as flatness, parallelism, and perpendicularity requirements on seal surfaces. We have designed our processes and procedures around making challenging components for the particle accellerator industry and our machinists apply the same attention to detail to the work that we do for the many other industrial customers that we serve. 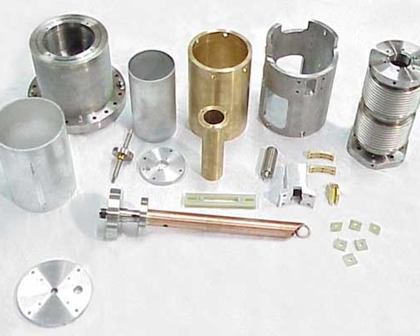 Precision machined components fabricated out of a variety of materials: Copper, Stainless Steel, Aluminum, Inconel, Monel, Hastelloy, G10, Titanium, Platinum, Kovar, and many more.